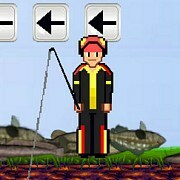 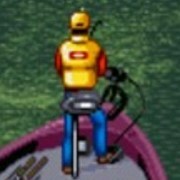 Description: Play as the 1990's bass fishing legend Jimmy Houston in this game. 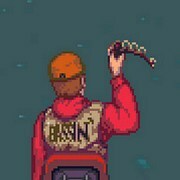 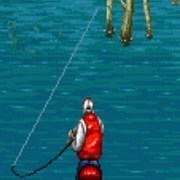 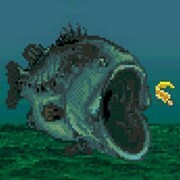 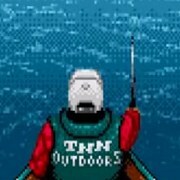 Its a bass tournament sim but it features a few thing different from other classic fishing games from the 1990's. 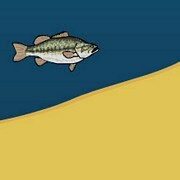 There is no underwater fish few you see and feel the fish biting in this game then set the hook. 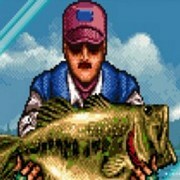 Always thought this one was the easier and funner one in the bunch, but not necessarily the best one. 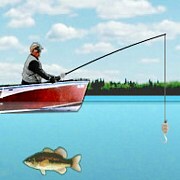 Choose lures and fishing spots fishing at real lakes and rivers in the U.S.A.
Instruction: When you hook up on a fish don't let your gauge get in the red, release reeling button when that happens.